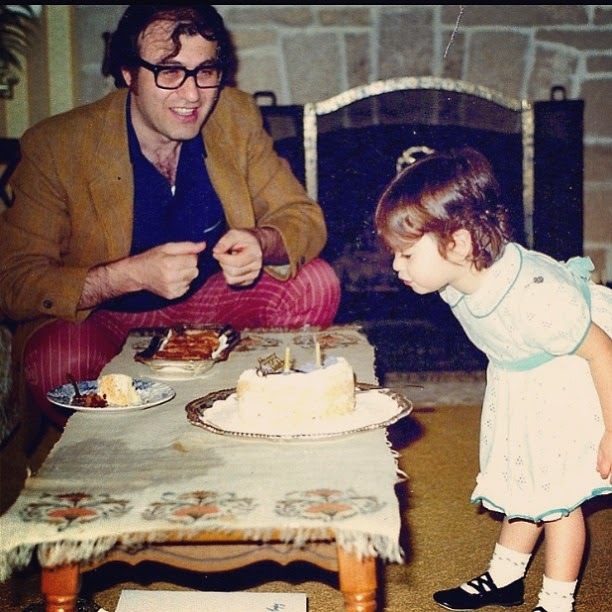 I love my family but my dad is my favorite subject. Most of you already know why but let me go on. I see my dad at least once a week, usually more like two or three times a week. His sense of humor is fantastic, he is really smart (he was an electrical engineer) and is a pretty well rounded, old dude who people always tend to love. I think my dad would make the best "Reality TV" star - ever. Since 1991, my dad has owned and operated a travel agency that concentrates on Travel to Turkey. I manage my dad's website, write his blog, manage most of his marketing, some of his new business and I write their newsletter. Once a month, I send out their newsletter which always contains a different travel picture - most of the time that picture is of Turkey. 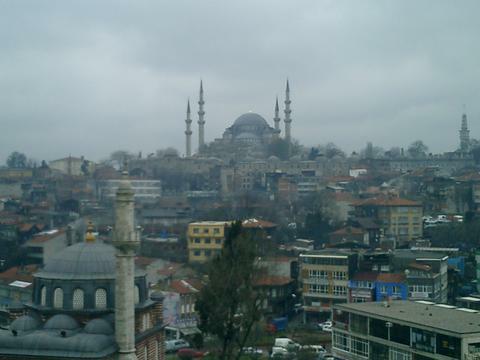 The newsletter I sent out today had a picture of Istanbul, an overcast day with a mosque in the background. About an hour after the email was sent, I get a phone call. My dad is on the phone and he has a complaint. "Leyla, did you send an email today?" I answer "Yes dad, I did." My dad goes on to say, "We are receiving many phone calls about the picture you used in that email, which picture did you use? People do not like the picture you used of Istanbul." I am a little surprised to find that the picture is not well liked, I love that picture. I took the picture years ago and, to me, it is an accurate depiction of Istanbul. I explain this to my father, "Dad, it is a lovely picture, it is the city with a mosque in the background." My father does not back down, instead, he drives his point home and asks me to remove the picture from the email (clearly, he doesn't understand how email works). I say again, "Dad, this is what Istanbul looks like." And he finally says, "Leyla! Turkish people want to see pictures of the Bosphorus. When you talk about Istanbul, you should always have a picture of the Bosphorus!" I stand MY ground and reiterate, "But dad, I think this picture is accurate." "Leyla, think of Istanbul as a woman. People want to see a woman at her best. Sure, you have the true side but you don't want to show the true side, you want to show the beautiful side. When your mother gets dressed up and puts on her make up, she looks amazing, beautiful. When she wakes up in the morning, you can barely look at her. Which picture do you think she wants the world to see? The real one or the made up one?" Point taken dad. From now on, no more real depictions of Istanbul when we are trying to sell the city to people who are traveling there. Only the beautiful side. It's a wonderful little hotel run by a woman named Mujde in a small town called Sirince. It was one of the places we stayed on my motorcycle tour of Turkey. I recall waking up, opening the picture window and looking down over sheep grazing on the hillsides. The stones through the main town are the very same stones laid down by the Roman soldiers centuries before! My only tiny regret is that I was there alone because is was so romantic. I was envious of the married couples on the trip who got to share this place. If you are ever back in Turkey and in this region, it's worth a visit. Despite it's rural location, Mujde is very hip and current. She used to be an art director in advertising. Thanks Brian! That is very interesting. BTW, if you want to write a blog post for our travel blog http://www.artuntravel.com/blog - I'd love to have it!